Controversy has trailed the death of a 25-year-old tailor, Mohammed Bashir, who allegedly died in the hands of police interrogators in Yola. Relatives insisted that he was beaten to death in police custody. 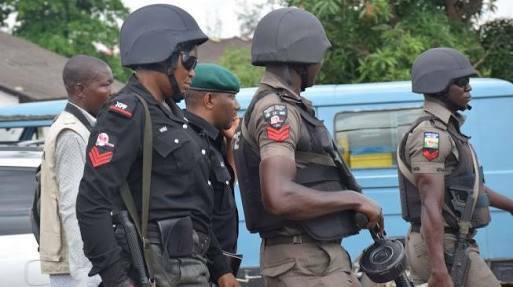 The Adamawa State Police Command said a police Inspector, identified as Kaka, is facing sanction over the death. The acting Police Public Relations Officer, DSP Habibu Musa, confirmed the incident to Northern City News on Friday. He said the command received the report of the incident at the Sangere police outpost, adding that the police Inspector who was interrogating the tailor shortly before he slumped was in detention. “The deceased was arrested in connection with receiving stolen property from a house that was burgled. This followed the report of a burglary that was logged on the 14th of August at the Sangere Police outpost under Kofare Divisional Police headquarters. “The suspect collapsed during interrogation and was rushed to the hospital, but unfortunately he died four days later. “I can also confirm to you that the Inspector who led the interrogation has been arrested and investigation is ongoing,” he said. Musa called for calm over Bashir’s death, noting that the command was awaiting the autopsy report to ascertain the cause of death. Mustapha Ribadu, a relation of the deceased, accused the police of brutality, insisting that Bashir was brutalised to death for allegedly refusing to implicate himself in the burglary. He said, “Bashir was taken to the said police outpost on Friday, August 10; he was arrested based on the suspicions that he bought some stolen wrappers. “On Saturday when an elder brother to the suspect took food to him, he was also detained. The following day, being Sunday, a certain police officer, popularly known as Kaka, descended on the duo; he beat them mercilessly until Bashir became unconscious. “When I observed Bashir’s corpse at the Federal Medical Centre where he was taken after he went into a coma, we found serious physical injuries on the body. I even took pictures of the injuries,” Ribadu said.